I, Rob Thomas of Kaysville, Utah have always considered good nutrition and a healthy lifestyle to be of utmost importance on our journey through life. Even as a small boy I would eat things like asparagus, spinach, fruits, wheat breads and anything else my Mother told me was good for me. As I matured, I noticed how eating habits really seem to affect a person’s health and well being in every aspect of life. As I spent time in Australia in the 1980’s on a mission for my church, I noticed even more the diversity of cultures and foods that had so much a part of people’s lives and longevity. I was able to help teach others about caring for their body and soul through the way they lived. 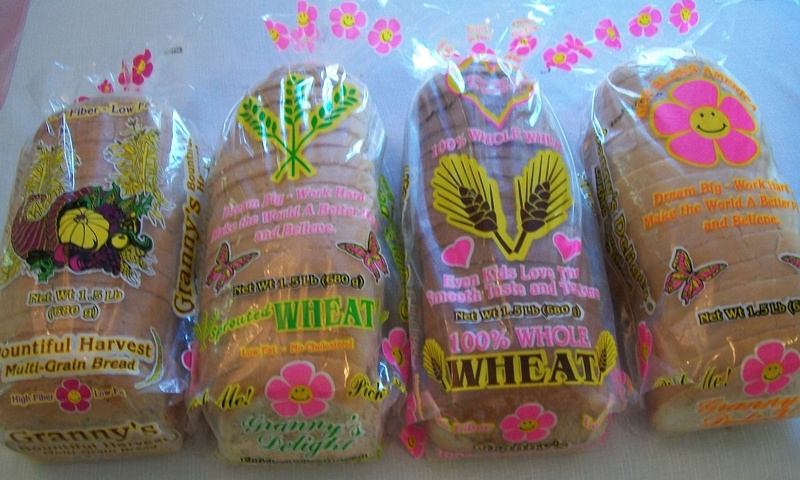 The Granny’s Delight breads are baked with only premium quality Intermountain Region and Montana wheat. All of our breads are Dairy-Free, No eggs and No Preservatives!! Our High-Fiber Whole Wheat bread continues to have 6 Grams of fiber per slice and yes, it is still sawdust-free. We continue to use the 98% pure wheat or oat fiber concentrate to get the 6 grams per slice in the whole wheat bread, despite the massive expense compared to cheap fiber. In 2009, KSL channel 5 in Salt Lake City featured our Fiber Bread on their Studio 5 program, stating that they love the bread and fiber content. We had no idea they featured us until customers started calling.